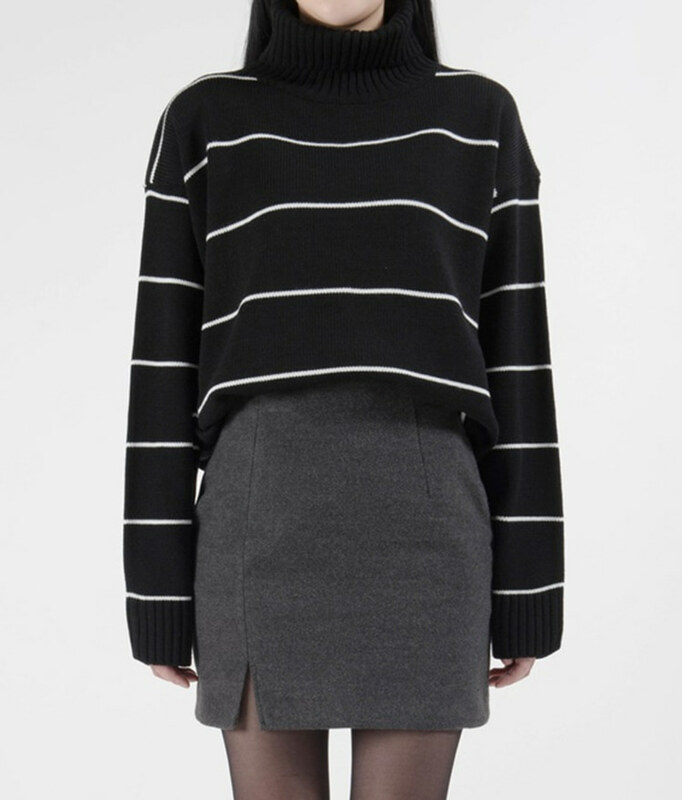 This knit top comes with contrasting stripe accents for a modern style. It also features a foldover turtleneck, cozy sleeves, and a loose fit. Pair this knit top with your jeans or a skirt for a classic combo.